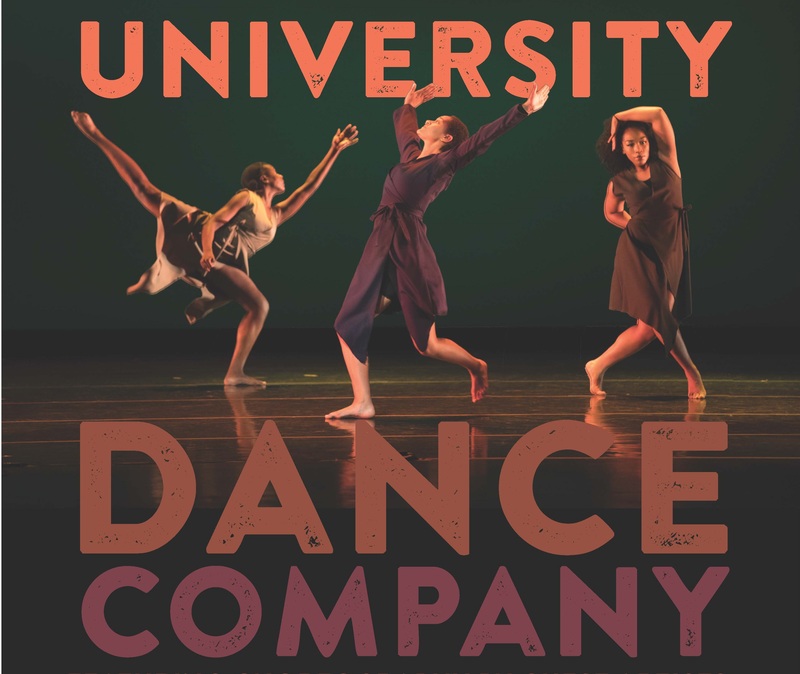 LAWRENCE – Featuring live music and work from Midwestern guest artists, the University Dance Company’s spring concert will be full of original, exciting work. The shows will be held at the Lawrence Arts Center on April 27 and 28 at 7:30 p.m., and April 29 at 2 p.m.
Tickets are on sale now at the Lawrence Arts Center: Seniors (62 and older) $11, Public $14, KU Students $10, and Children (under 18) $5. Tickets bought before 6 p.m., Wednesday, April 26 will be: Seniors (62 and older) $8, Public $10, Students $5, Children (under 18) $5. There is an additional $1 per ticket customer service fee at the box office, and processing fees on internet orders. Lindsay Hawkins, guest artist, set her work “Conversations and Fits” on the University Dance Company as a Janet Hamburg Choreographic Fellow in dance. The work is based on forms of communication, vocal and physical outbursts, and the quirky, personal idiosyncrasies that shape human interactions and relationships. The dance requires physical stamina and is intricate, quick, and full of opportunities for dancers to share their personalities and physicality with their audience. Guest artist Andie Stitt, a Kansas City-based teaching artist with Arts Partners, created “The Rebellion,” a mixture of rhythm tap and hip hop, to the unexpected score of “Renegade” by Styx. Assistant professor James Moreno collaborated with Chicago-based KU dance alumnae Julie Ferrell and Sarah O’Keefe to create “Marginalia” with live music by Lawrence musicians, Cody Case and Will Treaster. According to the creators, “’Marginalia’ argues that performance is political because bodies are political. Race and gender are perceived through the body, and bodies are the medium of performance. When a performer walks onto the stage, so too do the performer’s socio-political identities.” This event offers performers opportunities to approach politics imaginatively and explore how their identities exist at the margin and center of our political system. Choreographed by Patrick Suzeau, “American Tapestry” is a celebration in which movements drawn from several world dance traditions are juxtaposed to create dynamic contrasts and harmony. It reflects the international nature of the threads woven to create the richness of our culture. It is performed by 18 dancers who interlace to a percussion score by Hang Massive. “Night Visitor” is a rhapsodic solo choreographed and performed by Suzeau. The movement episodes reflect the dream-like and mysterious quality of Beethoven’s “Adagio” from the “Moonlight” sonata.